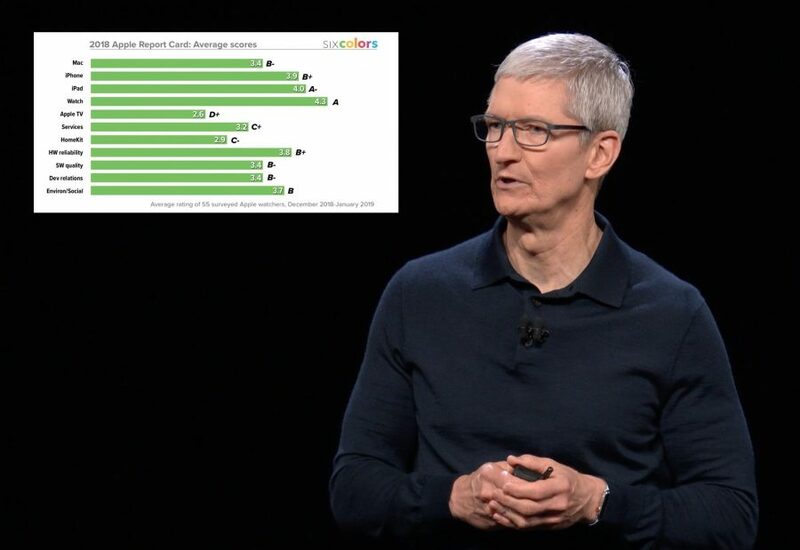 Over at Six Colors, Jason Snell has published the latest installment of his annual Apple report card, drawing scores and comments from a panel of 55 industry observers, including a number of us here at TidBITS. There are no major surprises here, although it’s interesting to see the Apple Watch’s grade climb steadily to be the highest for all of the survey’s categories. 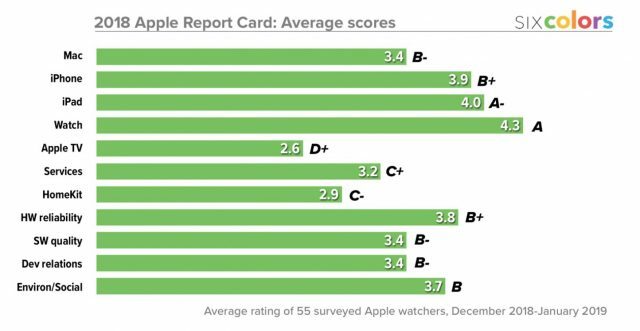 Conversely, the Apple TV’s score has dropped in three out of the four years of the survey, leaving it in last place, just behind HomeKit.